I will not discuss the winner of the 2012 Caine Prize for African fiction, as my colleague blogger, ImageNations, has already done a good job on all the links needed. I did read all the five shortlisted stories, and will freely admit that “Bombay’s Republic” was definitely in my top two. I think what intrigues me even more this year is the fact that the 2012 Caine Prize anthology is not only going to be published in the UK/USA, but also in six African countries, including Ghana. Actually I believe it had already been co-published in South Africa (with Jacana), in Nigeria (with Cassava Republic) and Kenya (Kwani?) but what with the lack of distribution of books between African countries, in the past the easiest way of getting a copy was to order either from the UK or the US! Incidentally I have in the past emailed at least one of the above publishers and asked whether they haven’t considered some distribution of their titles here in Ghana, but no answer. But that, as they say, is a whole other story. Getting back to the latest Caine Prize collection: spurred on by the prospect of local availability, I thought I would follow up. A small search – actually in a physical directory! – revealed four numbers for Sub-Saharan Publishers [sorry I couldn’t find any website], so I hoped that at least one of them would work. And it did. 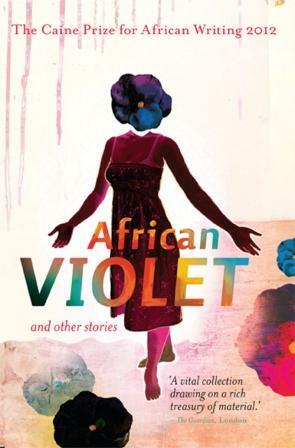 The good news: African violet (the name of the collection) which was published by New Internationalist in the UK on 1 July 2012 and was indeed reviewed by Bookshy (a book blogger based in Nigeria) will indeed be published, and therefore available to buy here in Ghana. The not so good news: some of us will just have to wait six weeks or so before we get a chance to buy a local copy! But at least it is something worth looking forward to. not really so on the actual reading side. I read five books – two non-fiction, and three fiction, plus one of the five had a Ghana focus. So that was it on the reading and buying side….